Qualcomm CEO Mollenkopf now sees a 2019 launch for 5G service in the U.S.
Qualcomm CEO Steve Mollenkopf says that mobile internet speeds will hit incredible new records in 2019 as 5G service becomes real in that year. While the executive said that most in the industry pick 2020 as the the launch year for the next generation of mobile wireless service, "people are pulling us faster." According to Mollenkopf, that means "You’ll see 5G in 2019 for sure." Some of the demand for 5G is being driven by mobile device users seeking an improved video experience. 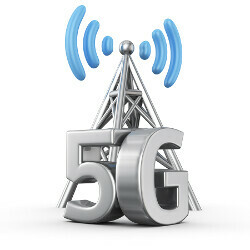 5G service is expected to deliver data speeds as much as 100 times the current rate. With 5G, video files that used to take minutes to load will take only seconds. But there is more to the next gen networks than improved video. Industries such as health care and and products such as connected cars will receive technological advancements thanks to 5G connectivity. While Mollenkopf now says that 5G will debut in 2019, as recently as last year he said that 5G wouldn't be ready for prime time until 2020. Back in May, T-Mobile became the first stateside carrier to announce plans for a nationwide 5G network. Since the standards for 5G are still being written, T-Mobile CEO John Legere said that he expects to deliver the next generation of wireless service in two to three years. While that would seemingly make Mollenkopf's forecast aggressive, earlier today we told you that the small European country of San Marino signed a deal with Telecom Italia to have 5G service in the country up and running as soon as next year.